One of my favorite parts about traveling to a new country is exploring the local cuisine. 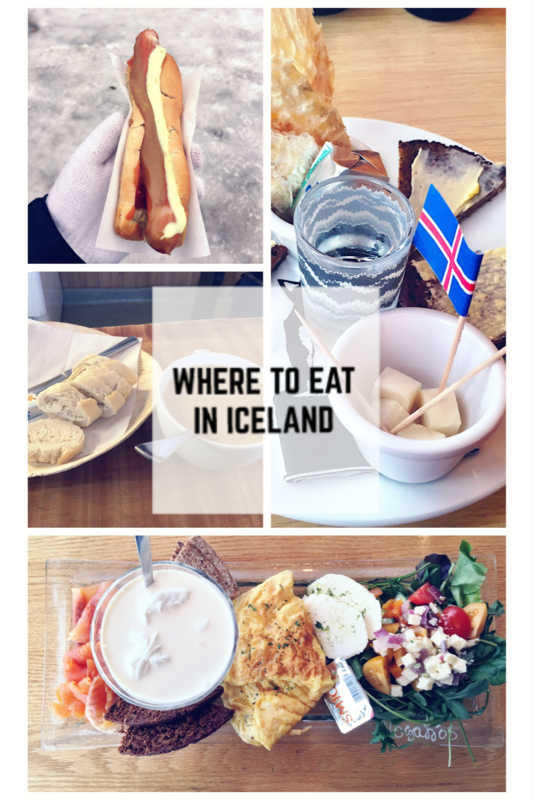 When I returned from Iceland last March, the first question many people asked was “What kind of food did you eat?” Although Iceland has picked up a lot of attention as a vacation destination for their natural landscapes, the food is rarely discussed. But it should be! I didn’t try anything that I disliked, and still crave a bowl of delicious lamb stew when it’s cold outside. If you’re traveling to Iceland, my suggestion is to just dive in and try it all, especially if it’s something new to you! You never know, you just might discover that you actually do like seafood when it’s that fresh. Below are a few of my favorite things I tried during my road trip around the country. My first introduction to Icelandic food was in Stykkishólmur in the western Snæfellsnes peninsula. After landing in Reykjavik and picking up my car, I headed straight for the peninsula, hoping to experience the small fishing towns I’d read about. Instead, I got a quick lesson in how treacherous the weather in Iceland really is when I found myself driving for a few hours through the worst white-out I’d ever experienced (and I live in Colorado!). After finally arriving safely at my hostel, I was famished. The only restaurant open was Stykkið Pizzagerð, a small place right next to the grocery store at the entrance of town, and the pizza was delicious. The crust had the perfect amount of crispiness while still being light and doughy, and the toppings surprising complemented each other very well. All around Iceland, you’ll find the usual pizza toppings in addition to their own creative concoctions, many with cream cheese and all definitely worth a try. This pizza below has ham, mushrooms, cream cheese, and blue cheese on top of the usual tomato sauce and mozzarella! On my third day in Iceland, I explored the Northern region including Lake Mývatn. Just near the lake is Vogafjós, a farm, guesthouse, and a restaurant inside the cowshed. If you’re in this area, you have to stop by this amazing family-owned property! This is by far the most local “farm-to-table” restaurant I have ever seen – you can even hear the cows mooing while sitting at your table! All of their food is produced from their farm including the dairy products, fresh baked bread, and meat. I ordered the Vogafjós farm plate (below) which included smoked arctic char (one of the most prevalent fish you’ll find on menus), Geysir bread (a very moist rye bread baked in the ground with geothermal heat), flatbrauð (or flat bread, also very moist), an omelette, fresh salad with their own Mývatn mozzarella, “salad cheese” (the round white disks, a harder, saltier cheese than the mozzarella), and skyr (a yogurt-like cheese) topped with heavy cream. After returning from a tour into the Vatnajökull Glacier that ended with drenching, freezing rain, this lamb stew was straight out of a dream. So comforting and warm, accompanied by fresh baked bread and the creamiest butter ever. 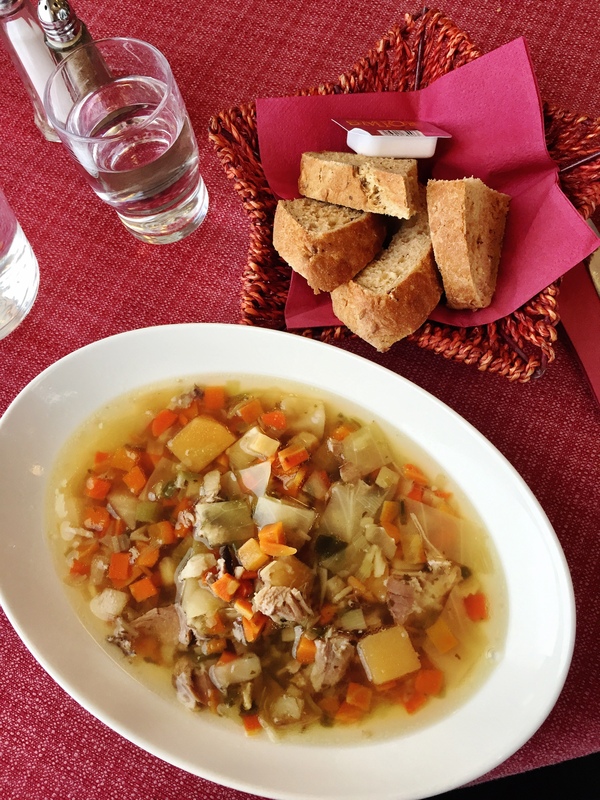 You can find lamb stew almost anywhere in Iceland, but whether because of the freezing cold circumstances or because of the restaurant, I liked this one from the Hali Guesthouse in Eastern Iceland the most. 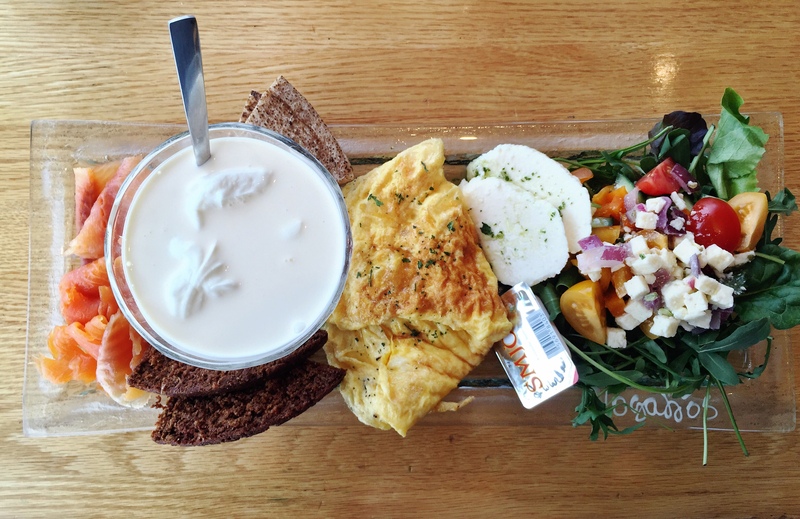 Reykjavik has a strong food scene with lots of high-end restaurants and top-notch chefs, so it is not difficult to find good food in the city, but the meals I enjoyed most were some of the simpler favorites of locals and travelers alike. 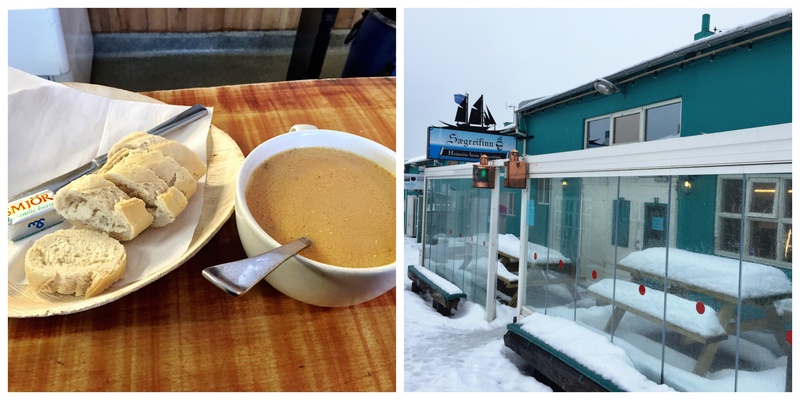 The first was what has been called the best Lobster Soup in the world (of course served with fresh bread and butter) from Sægreifinn, or the “Sea Baron,” a small, bright teal building near the harbor. I arrived minutes after they opened and was able to watch them unload the variety of fresh seafood that makes up their menu while I enjoyed my soup, perfectly creamy and balanced, highlighting the flavor of the lobster. 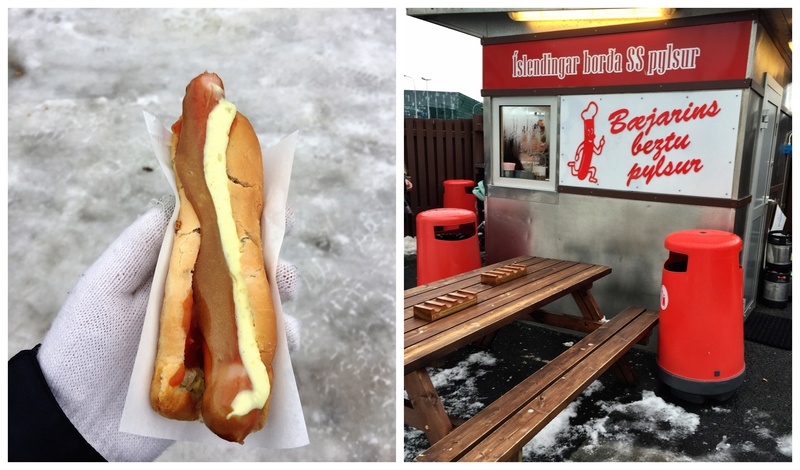 You can’t leave Reykjavik without trying the famous hot dog (seriously, it’s famous!) from Bæjarins Beztu Pylsur, a small stand on the edge of downtown. Do yourself a favor and order it with everything. You’ll get a perfectly crafted hot dog with crispy and raw onions, pylsusinnep (a sweet, brown mustard – also known as “hot dog mustard”), ketchup, and remúlaði (a mayo-based remoulade). The combination of sweet and savory and crispy is out of this world. And don’t get too far away from the stand before you finish – you’re going to want to go back for more! 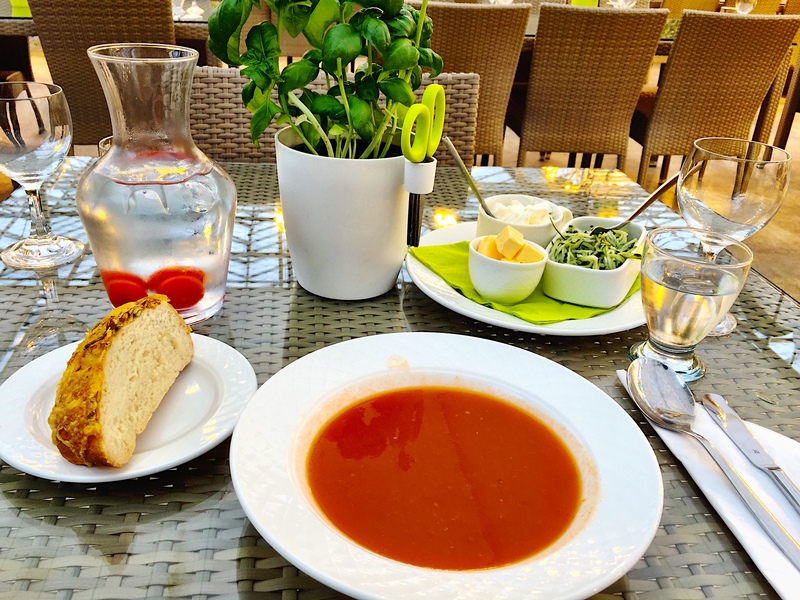 I mentioned this soup in my previous post about the Golden Circle, but I must tell you about it again because it is just that good. There’s something indescribable about being in a warm, tropical greenhouse, smelling the fresh tomatoes, and enjoying bottomless bowls of hearty tomato soup with lots of bread while the weather outside is windy and cold. It’s an oasis in the middle of Iceland. The soup is served with butter, sour cream, and a fresh cucumber relish, along with a basil plant you can trim yourself. Try it all on the soup, on the bread, on its own – any way you eat it, you’ll enjoy it. If you’re a travel-food-show junkie like I am, you’ll probably recognize some of the food on this last plate, especially Hákarl which is basically rotten shark. It’s left in the ground for months to ferment and then hung to dry and cure, a process that rids the meat of the toxins that make it poisonous to eat fresh. Anthony Bourdain famously declared hákarl the “the single worst, most disgusting and terrible tasting thing” he’s ever had, and Gordon Ramsey reportedly threw up after ingesting it. I personally think these reactions are a bit dramatic. While not the tastiest thing I’ve ever had, I did not find it to be too unpleasant – the flavor reminded me of a very stinky blue cheese. However, I was not fond of the rubbery texture or the strong ammonia smell (taste it before you smell it!). The other items on the plate are less daunting – more Geysir bread and flatbrauð with butter, and dried, unsalted cod that is eaten with more butter. I found this last item to be rather tasteless and very difficult to eat, although I found out later you’re supposed to peel the layers back and not bite into it like jerky. My mistake! The plate is finished with Brennivín (also known as “Black Death”), a clear, caraway flavored schnapps. A shot of Brennivín often accompanies hákarl and I can see why! The flavor is harsh but warming, erasing any residual funkiness left over from the shark. 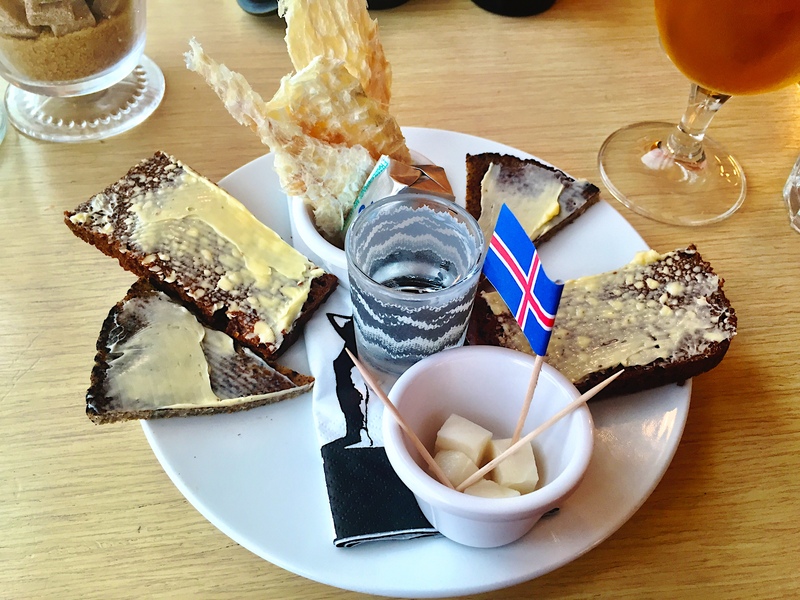 You can try these Icelandic delicacies at Café Loki, a great little spot right across from Hallgrímskirkja, Reykjavik’s famous Lutheran church. Have you ever been to Iceland? Please let me know where your favorite places to eat there are so I can add them to my list to try next time I visit! *Some of the links in this post are affiliate links to help support this blog. For more information, read my full disclosure. I actually stayed at Kex for a couple of nights – loved that place and the bar. I have never heard of the hot chocolate. Definitely adding that to my list for next time! That lamb stew it’s called kjötsúpa or meat soup but the meat is lamb. In my childhood we always had rice, potatoes, carrots and of course the meat. It’s delicious! I had never had lamb before traveling to Iceland but I loved it. Very expensive but AMAZING food is at Kol in Reykjavik. everything they served was the best meal of my life. I just looked Kol up and it looks AMAZING! I’ll definitely have to go next time. Hey I’m Icelandic and I work with alot of tourists. They all bash about a nice restaurant in downtown reykjavík called Grillmarkaðurinn (e. The Grillmarket). It has a nice Icelandic feel to it and serves food you wouldn’t get anywhere else. We dined at the grillmarker one night and it was amazing. Highly recommend.